Angela Wright-Shannon accused Supreme Court Justice Clarence Thomas of sexual harassment in the 1980s, and now, in a scathing op-ed, she’s calling for his impeachment and removal from the bench. Wright-Shannon, a former Charlotte Observer editor, wrote in her HuffPost essay published Monday that she and several other women, including Anita Hill, accused Thomas of sexual harassment and nothing ever came of it. “When the accusers are women of color, justice is not just delayed; it’s often denied outright,” she wrote. 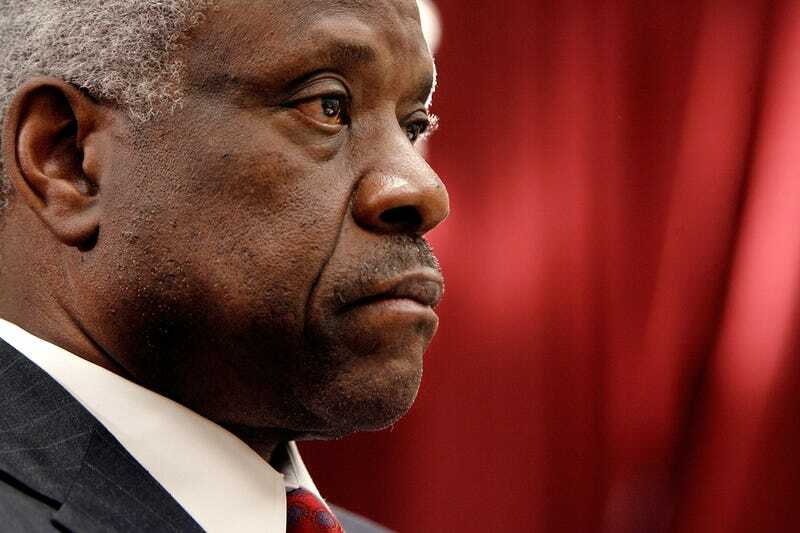 In 1991, as Thomas was being vetted for the Supreme Court, Wright-Shannon said that she was prepared to testify that she believed Anita Hill’s statements to be true, as she had experienced sexual harassment from Thomas herself. According to Wright-Shannon, Thomas had repeatedly pressured her for dates and once asked about her breast size when she and Thomas worked for the Equal Employment Opportunity Commission. In her op-ed, Wright-Shannon also wrote that while the #MeToo movement has become inspiring, it is noted how easily white women are believed in issues regarding sexual harassment and powerful men. Wright-Shannon admitted that the goal of impeaching Thomas may be a pipe dream, but that that isn’t going to stop her from hoping that one day her voice holds the weight of her white counterparts.